Hair loss is a condition that is not gender specific. While we more commonly refer to hair loss in men, women are also susceptible to thinning hair. In fact, women account for up to 40% of hair loss sufferers in the United States. At Beverly Hills Hair Group, we understand the unique needs that women have when it comes to hair replacement. 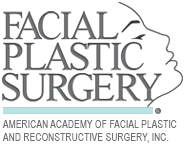 Dr. Ben Talei, a dual board certified plastic surgeon offers solutions that address these concerns in the most comfortable way and with the most natural results. Surgical hair replacement for women can reverse a poor self-esteem and help women enjoy a more confident social life. 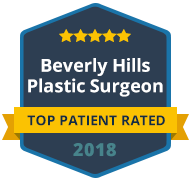 Dr. Talei is a talented and highly respected plastic surgeon in Beverly Hills, who is recognized for his ability to provide effective, balanced and customized treatments for aesthetic concerns, including female hair loss. Female pattern balding is what causes many women to seek help at our clinic. This type of female hair loss is described as a thinning or progression of hair loss starting from the middle of the scalp outwards. At Beverly Hills Hair Group, you can trust that we can restore the thickness and volume of your hair using the least invasive hair transplant methods available. After a thorough consultation and examination, Dr. Talei can recommend the best hair transplant or hair restoration procedure for you. Our state-of-the-art clinic offers both Follicular Unit Transfer and automated Follicular Unit Extraction with NeoGraft to women in Beverly Hills. We will discuss the pros and cons of each method as it relates to your personal hair loss needs and desired goals. Follicular unit grafting is a gold standard hair transplant technique that delivers remarkable results to women who suffer from localized thinning in the front or top of the scalp but who also have an adequate and stable amount of donor hair supply in the back. After completing your hair transplant procedure with us, you can expect to have natural, healthy hair growth for a lifetime. For Female Hair Replacement from a double board certified plastic surgeon, please call Beverly Hills Hair Group today. We deliver hair loss solutions that are painless and undetectable to others so that you can remain confident in your full head of attractive hair. Please visit our Hair Transplant FAQs page to learn more about what to expect during your procedure or to schedule a no obligation consultation with Dr. Talei to get started.